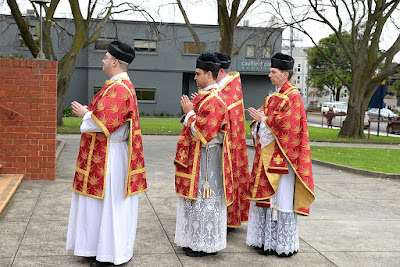 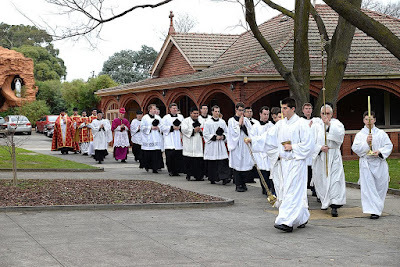 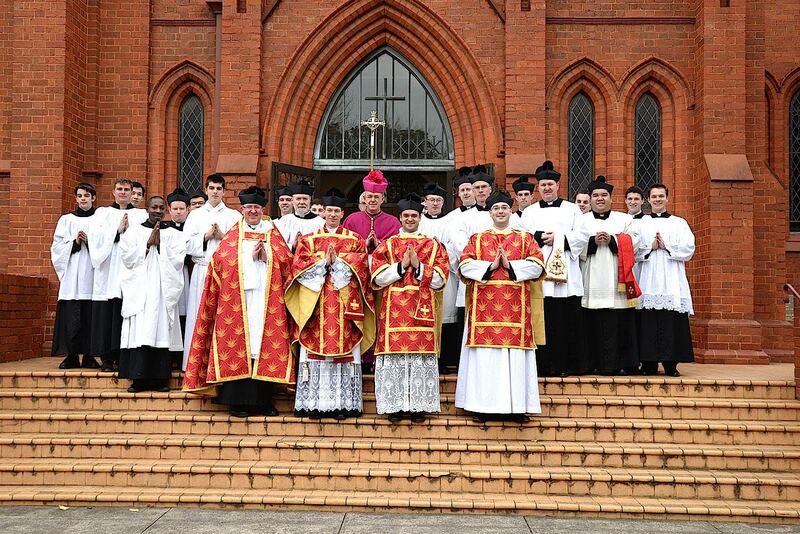 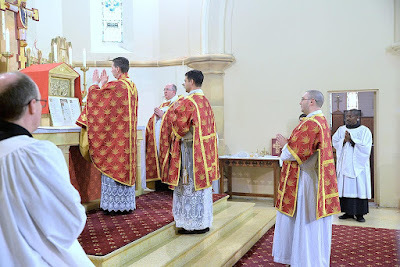 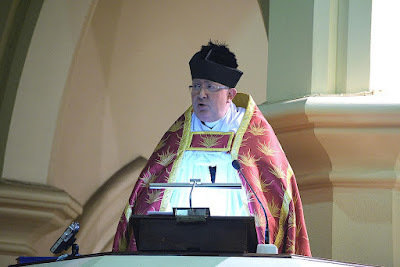 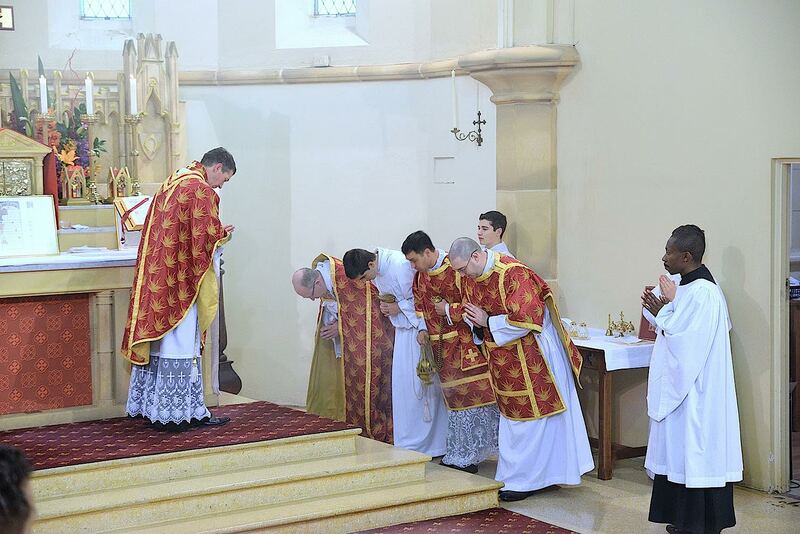 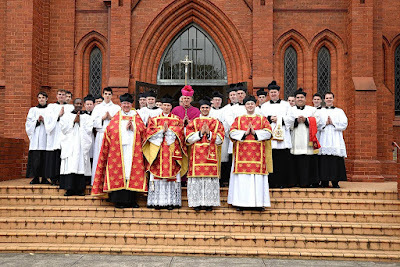 On Saturday, June 27, in Melbourne, Australia, Rev Fr Francis Denton was ordained a priest of the Archdiocese of Melbourne in the local Cathedral of St Patrick’s. 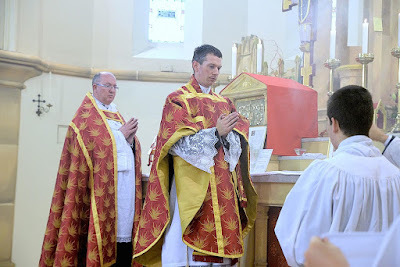 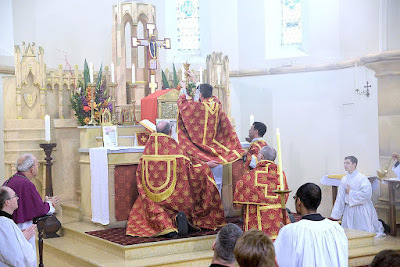 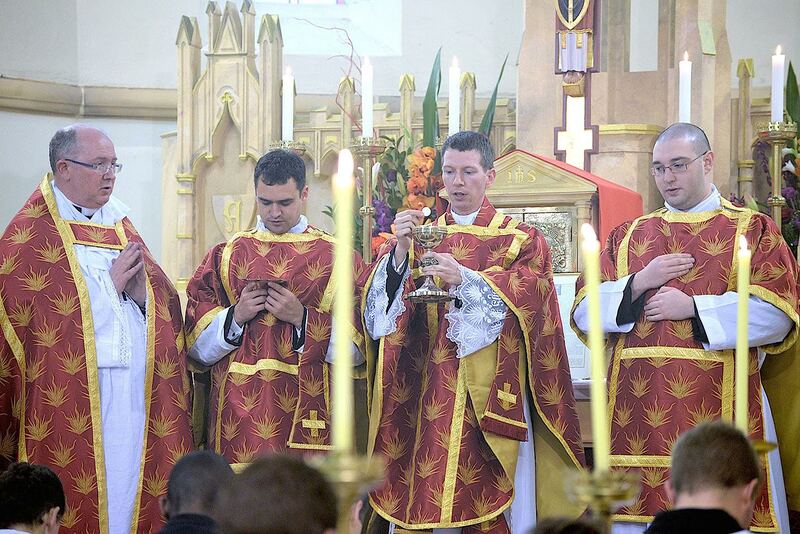 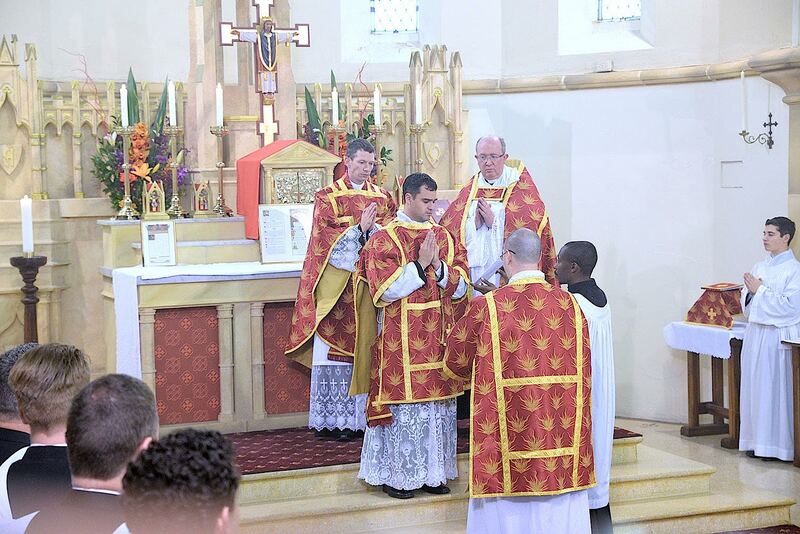 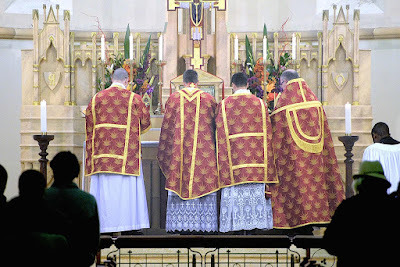 On Monday, Fr Denton celebrated Mass in the Extraordinary Form at the Parish of Bl. 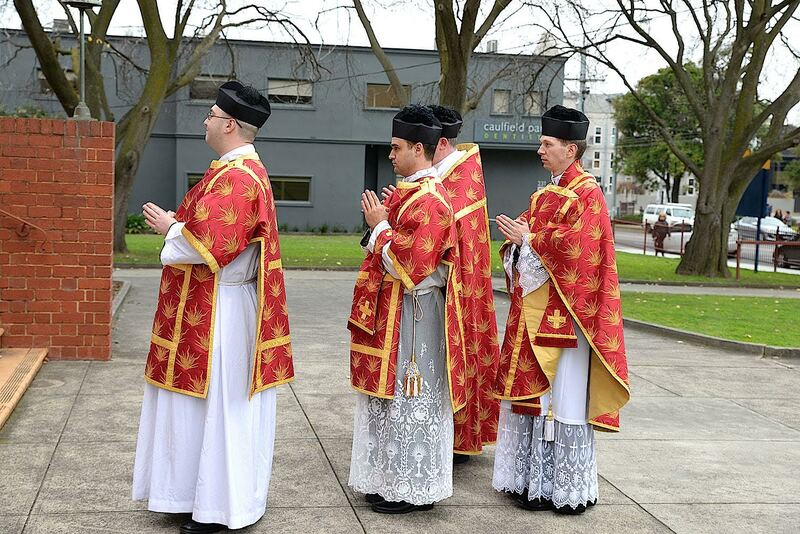 John Henry Newman in Melbourne for the feast of Ss Peter & Paul. 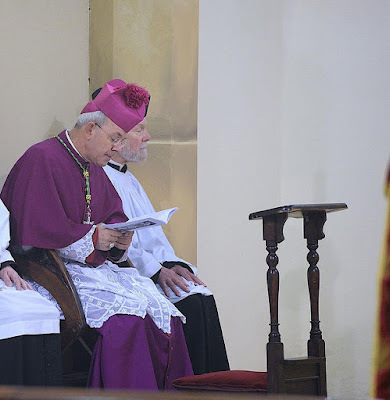 Bishop Athanasius Schneider attended the Mass in choir; the music for the Ordinary was Antonio Lotti’s Mass for Three voices. 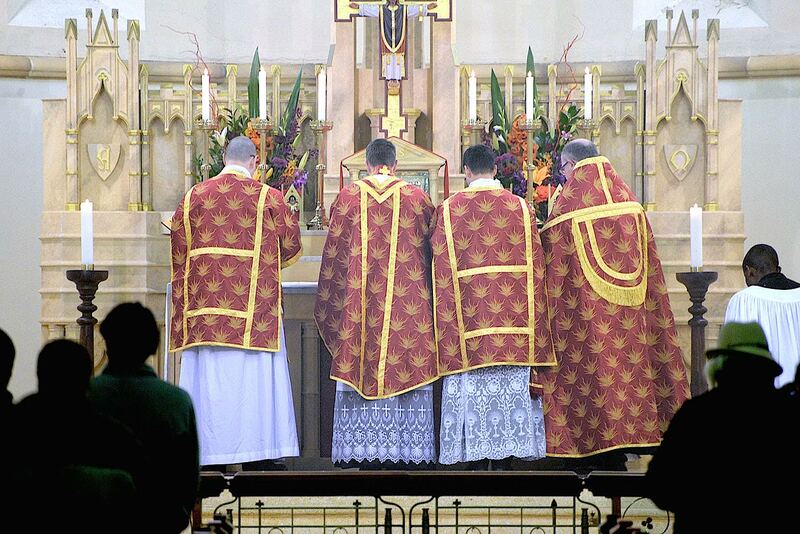 Attached are some photos from the Mass; more are are available at the Newman Parish website.